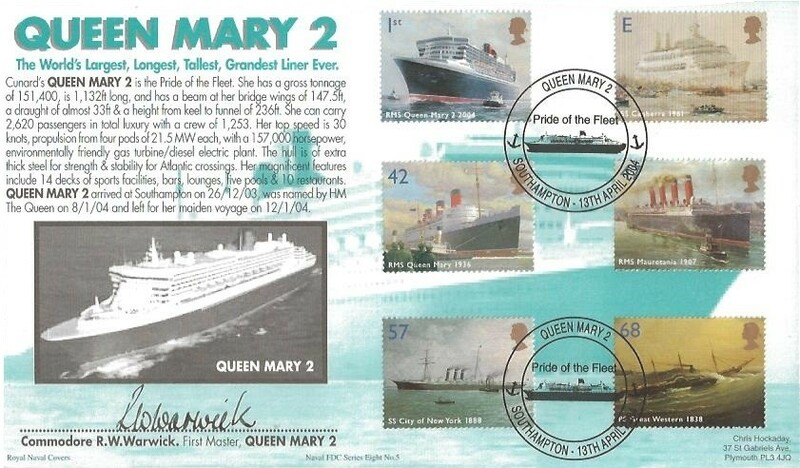 13th April 2004 Ocean Liners, Royal Navy Cover Group Official FDC, Pride of the Fleet Queen Mary 2 Southampton H/S. Signed by Commodore R W Warwick First Master Queen Mary 2. Limited Edition of only 60 covers.